I have never been to Jamaica, but I've been to the American and British Virgin Islands on several occasions. The Islands are beautiful and when vacationing there you always think how wonderful it would be to own a home on a Caribbean Island. But one word..."Hurricane" pushes that thought right out of my mind. I grew up in Maryland and I remember two hurricanes/tropical storms that hit the Mid-Atlantic states, Agnes in 1972 and David in 1979. Agnes was more severe of the two because of wide-spread flooding, but I remember David all too well because a telephone poll crashed through our condo window where we were vacationing in Ocean City. So watching Irene roll up the coast over the weekend brought back a lot of memories, especially since I have family who still live in Maryland. It's weird though, but whenever I go back to visit during the summer months I always want to experience thunderstorms. I love it during late-afternoon when it's really humid, and the sky gets dark, the wind picks up and the rain starts coming down. But then, about an hour later as the storm passes, the sky is beautiful with no humidity. Reminds me very much of the Islands. But thunderstorms and hurricanes/tropical storms are very different and I'm thankful that my family is safe and only experienced large trees falling over and blocking their driveway. 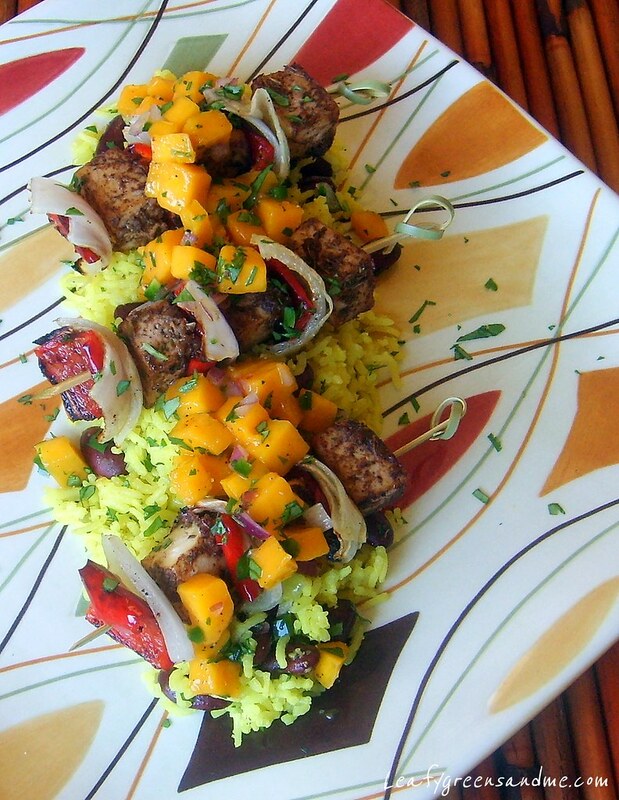 So thinking so much about hurricanes over the past week got me craving some Caribbean cuisine and so I decided to make Jamaican Jerk Marinated Tofu Kebabs with Coconut Basmati Rice and Mango Salsa. The only thing missing from the meal was a strong rum punch and of course an early-evening thunderstorm. In a small sauce pan, add olive oil and saute green onions, jalapeno, ginger and garlic until soft, about 4 minutes, being careful not to burn. Add mixture to a food processor or blender, along with all the other ingredients and blend until smooth. After tofu has been drained and pressed, cut into 1-2" squares and marinate for about an hour. Shake off excess marinade and bake tofu on a sheet tray for about 30 minutes until firm, turning frequently. Note: I would normally make this with brown basmati rice, but I only had white in my pantry. If you use brown, your cooking time will be 35 minutes instead of 15-20. Rinse rice until water is clear and soak for about 15 minutes. Drain rice but measure out 1 1/2 cups of the soaking liquid and set aside. In a sauce pan, add olive oil and saute onion, garlic and lemon grass until soft. Add soaking water, coconut milk, rice, salt and black pepper. Bring to a boil, reduce heat and simmer covered for 15-20 minutes. Remove from heat and let stand for 10 minutes before fluffing with a fork. Rinse and drain beans and add them to the rice, along with minced cilantro. Set aside and keep warm. Combine all ingredients together in a bowl and chill for about 1 hour for flavors to combine. Note: If I had a grill pan, I would assemble the skewers and then grill them, but since I don't I tossed the veggies in oil, salt and pepper and then broiled them until lightly charred. I then assembled the kebabs alternating, tofu, peppers and onions and then warmed them slightly in the oven before serving over the coconut rice with mango salsa. 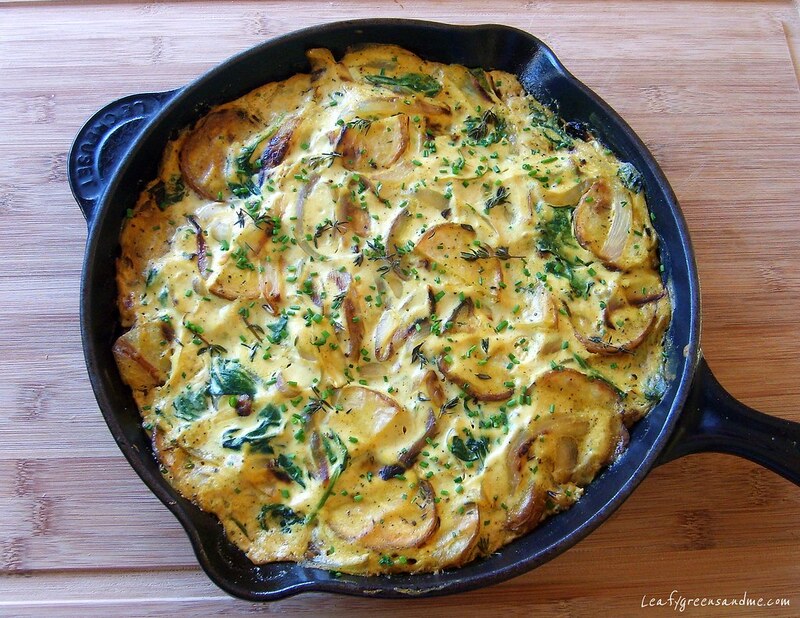 This frittata is easy and delicious...perfect for when you don't feel like cooking or spending time in the kitchen. And this is so much better for you than the egg version. I actually like making dishes that would normally be eaten at breakfast and serving them for dinner instead. I served this with sliced fresh tomatoes from my friend's garden (thanks Val, they were delicious!) and a drizzle of extra virgin olive oil. Wash, dry and slice potatoes into 1/4" slices and toss in 1 tbsp olive oil, fresh thyme, salt and pepper and roast on a sheet tray for about 20-30 minutes until golden brown, flipping once during roasting. Slice onions and toss in 1 tbsp olive oil, salt and pepper and place on another sheet tray and roast until caramelized about 15-20 minutes. Remove potatoes and onions from the oven and let cool. Turn oven temperature down to 325-350 degrees. In a saute pan, add a little olive oil and saute spinach leaves until just wilted. Set aside. In a food processor or blender, add tofu, nutritional yeast, black salt, turmeric, cayenne, filtered water and blend until smooth. Place tofu mixture in a large bowl and stir in 1 tbsp minced chives, onions, potatoes and spinach and season with salt and pepper. Heat a cast-iron pan on medium heat and add 1 tbsp olive oil and swirl to cover sides and bottom on pan. Immediately add frittata mixture and smooth top with a spatula. Place in the oven and bake for 20-25 minutes until firm and top is lightly browned. Remove from oven and let cool for 10 minutes before cutting into wedges. 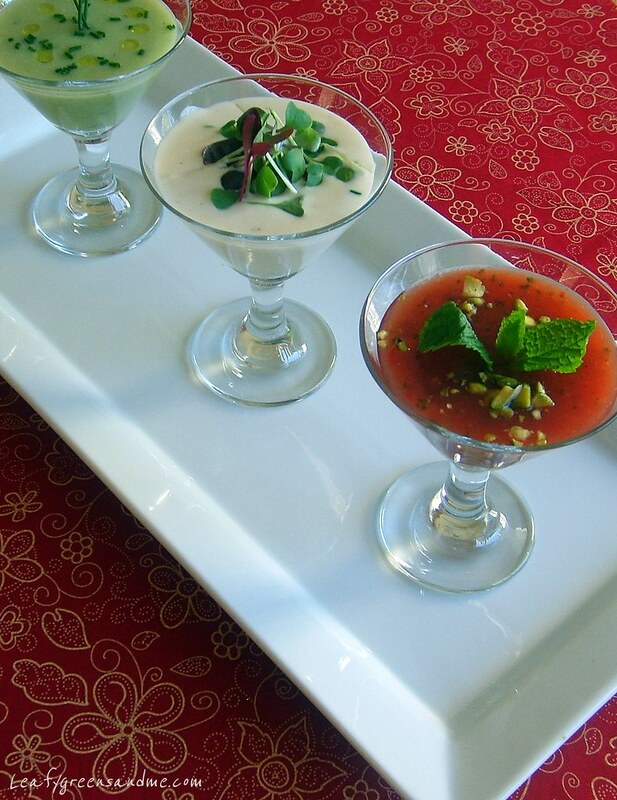 Well I finally broke down and made my husband watermelon gazpacho, along with two other flavors--a creamy almond and tangy tomatillo. Nothing reminds me more of Spain, than gazpacho. It's a perfect soup for a warm summer evening and it takes me back to Andalucia every time I make it. This trio would be fun to serve in shot glasses as an appetizer before the main course, or they can be served accompanied by rustic country bread and of course a good Spanish wine. If I were entertaining, I would serve this trio with saffron marinated olives, marcona almonds, assorted roasted vegetables with romesco sauce, and potato-olive empanadas with a fig-pear dipping sauce. Sounds delicious doesn't it! By the way, I'll be posting all of these recipes shorty in case you ever want to throw a Spanish party of your own! What's great about making gazpacho is that all you need is a food processor or a blender. Also these recipes are just guidelines for you to follow. The watermelon that I purchased may be sweeter than yours, or the tomatillos that you purchase maybe really sour so you'll need to adjust the flavorings. Add all ingredients to a food processor and blend until smooth. Chill for about 3 hours for flavors to combine. Cover bread with filtered water for about 10 minutes to soften. Drain and squeeze dry. Add all ingredients to a food processor or blender and blend until smooth. Strain and season with salt and pepper to taste. Chill for about 3 hours for flavors to combine. Blanch almonds in boiling water for about 20 seconds, drain and remove skins. Add to a food processor and blend until fine. While preparing almonds, soak bread for about 10 minutes until soft. Drain and squeeze out excess moisture. Add all ingredients to the food processor and blend until smooth. Season with salt and pepper to taste and chill for about three hours before serving. So my three week of mostly eating raw and gluten free is coming to an end. I guess that my husband and I ate 90% raw and 100% gluten free for the entire three weeks. And we were both really quite surprised about how good everything tasted. My husband kept commenting that he felt so healthy eating this way and that everything was so fresh and flavorful. Also, unless you stop eating gluten for a period of time, you have no idea how many bread/wheat products you consume on a regular basis. So needless to say, I am definitely going to incorporate more raw and gluten free dishes into our vegan diet. However, there are some challenges with eating raw and also with gluten-free baking. When preparing raw food you really have to plan ahead, unless of course you're just going to drink smoothies or eat salads. But if you want to prepare gourmet raw food you need about 2-3 days in order to soak, sprout or dehydrate your ingredients. It's really a whole new mindset to cooking. Also, it's quite expensive. If we were to eat raw full-time I would look into purchasing ingredients such as nuts and seeds through wholesale. Plus "everything" you purchase "has" to be "organic", so that's an added expense. Gluten-free cooking isn't difficult at all as long as you read labels carefully and make sure no gluten is lurking in the ingredients. But baking is another story, but once you start experimenting with different flour combinations you become more confident in the outcome. Several foods that I missed during the three weeks were: whole grains, cooked brown rice, any type of cooked beans, tofu, and tempeh. New techniques/ingredients that I starting using: making nut milks, sprouting beans, dehydrating ingredients, eating hemp seeds, drinking hemp milk, nama shoyu, goji berries, Celtic sea salt, gluten-free flours and xantham gum. I have also decided to purchase a Vita-Mix blender. I have wanted one for the past two years and kept putting it off because I didn't want to spend the money. Not any longer...I have so many uses for it now that it will pay itself off in no time. One thing that eating raw has taught me is that I was eating too many prepared and processed foods/ingredients. From now on, every condiment I use whether it be ketchup, mustard, vegan mayonnaise, sour cream, almond butter, peanut butter, etc., will be made from scratch instead of purchasing it at the store. I will also cut back on using processed oils as well. So for tonight's dinner I wanted to try a recipe for falafels by Russell James, The Raw Chef (you can find the recipe on his website). His recipe calls for a wrap made out of zucchini and flax meal, but since I don't have a dehydrator, it was very difficult to obtain the right texture for the wrap and it was breaking apart and so I just cut it into smaller pieces. Also, his recipe called for a macadamia nut hummus, but I made a cashew hummus instead because I didn't want to purchase macadamia nuts at $19/pound. 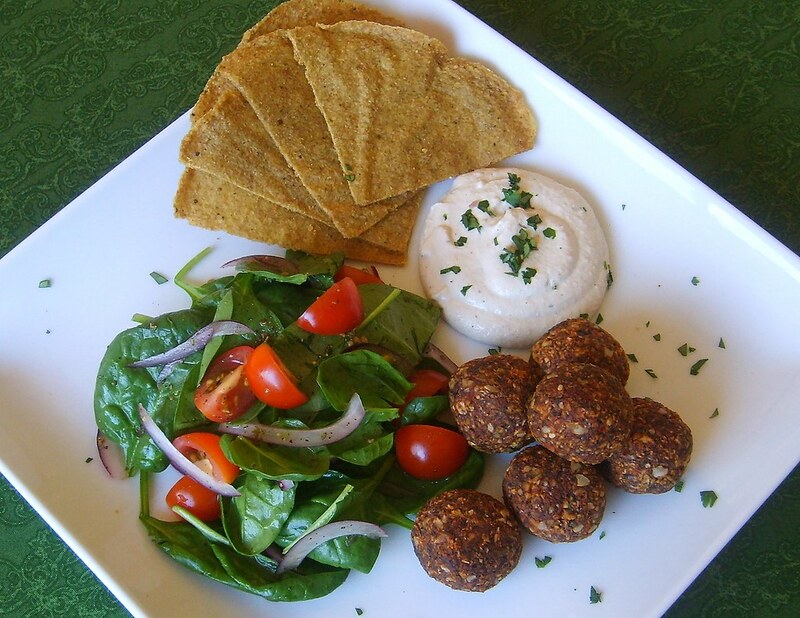 Anyway, the falafel and hummus had great flavor and texture, and it is very similar to my "cooked" Middle Eastern Falafel Plate that I made previously. Anyway, I learned so much over the past three weeks and I feel so much healthier by changing my diet. Also, I hope that you'll try some of the raw or gluten-free recipes that I've posted even if you're not into eating this way. And if you are interested in raw and gluten-free baking, keep checking back because there will be many more to come! And once I get my Vita-Mix, I can't wait to start making raw desserts--they look absolutely yummy! The other day when I sprouted lentils I had enough to make another dish and so I made a raw tostada with homemade tortilla chips. Just for a taste comparison, I made two versions...one with raw tortilla chips and the other with corn tortillas, cut to size and baked in the oven until crisp. I then put my husband through a taste test. Surprisingly, he liked them both equally in terms of flavor and texture, and so did I. They were very different, but were equally delicious. Again, I do not have a dehydrator and so I baked my raw tortillas in the oven at the lowest temperature, about 150 degrees until crispy. The first sheet tray of tortillas I cooked too long and they just crumbled apart, but the second tray turned out perfect and I was able to break them into different sizes so that I could stack the tostada with yummy, fresh ingredients! 2-2 1/4 cups filtered water--you want the batter to be thick, but still easy to spread. Note: I'm not certain how long the tortilla chips will take in a dehydrator, but probably 12-15 hours, maybe longer. Pre-heat oven to lowest temperature. Soak almonds in filtered water for about four hours, drain. Place almonds in a food processor and process until fine. Add corn kernels and process again, scraping down the sides. Add all other ingredients and blend until smooth. Line two sheet trays with silpats and divide batter between trays and smooth with an off-set spatula. Cover the entire surface completely. You want the batter to be about an 1/8" thick. Bake in the oven for about 3-3 1/2 hours, turning tray frequently and making sure that it does not cook too quickly. Once firm with no raw batter visible and pliable, remove tray from oven and carefully flip onto another tray and carefully remove silpat. Return to the oven and bake again on the other side until crisp, but still pliable, checking frequently and being careful not to burn. Remove from oven and let cool before breaking into desired pieces. In a medium bowl mix together sprouted lentils, corn, jacima, green cabbage, minced cilantro, lime juice and salt and pepper to taste. Set aside. To plate, place a couple of tortilla chips on a plate and top with sprouted lentil mixture, top with a couple more chips and add more lentils. 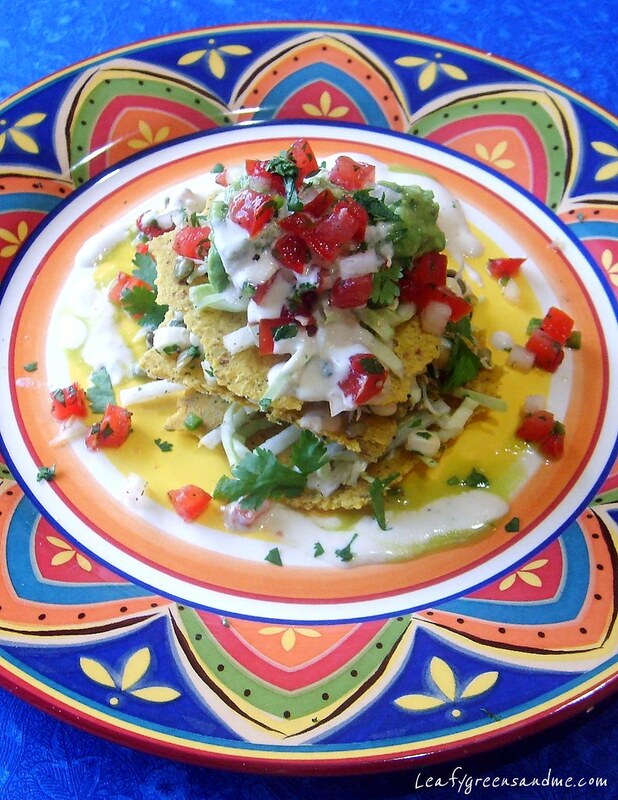 Garnish with guacamole, cashew cream, pico de gallo and cilantro leaves. As you know for the past two weeks I have been trying to incorporate more raw and gluten-free foods into my diet, and everything that I have made so far has been really flavorful and has great texture. Also, I have cut down on using salt and processed oils--actually, I've cut out a lot of the processed stuff. I never realized but when you cook food you lose a lot of the natural flavors and you have to make up for it by adding a bunch of additives. Anyway, I still enjoy cooking food and will continue to do so, but adding more raw and unprocessed foods to my diet has been a real eye opener. And I feel a lot healthier too! Add all ingredients (except salt and pepper) to a food processor or blender and blend until smooth. Prep all other vegetables and set aside. You can either stack all the ingredients on a plate and serve with the dressing on the side, or you can toss it all together with the dressing and serve immediately. 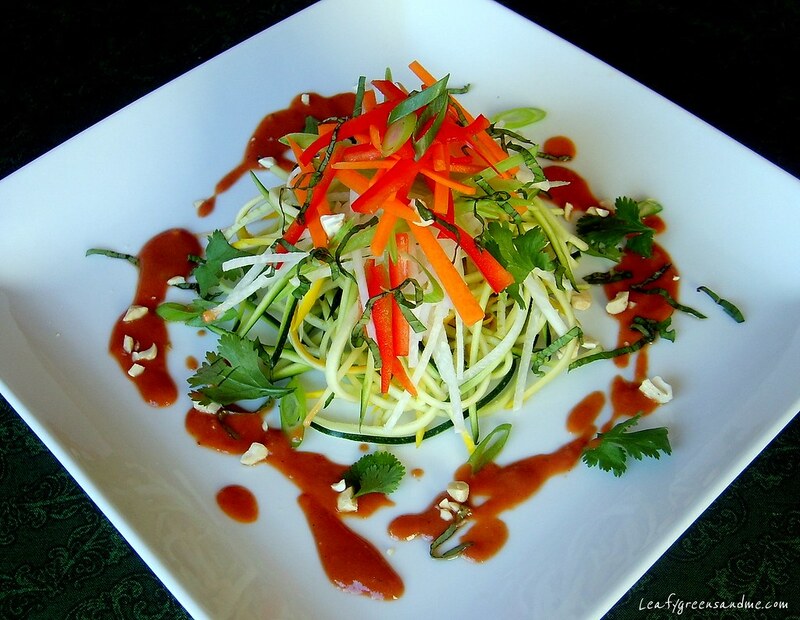 Garnish with scallions, basil, cilantro and cashews. I mentioned in a previous post that I would most likely have a few disasters with gluten-free baking. 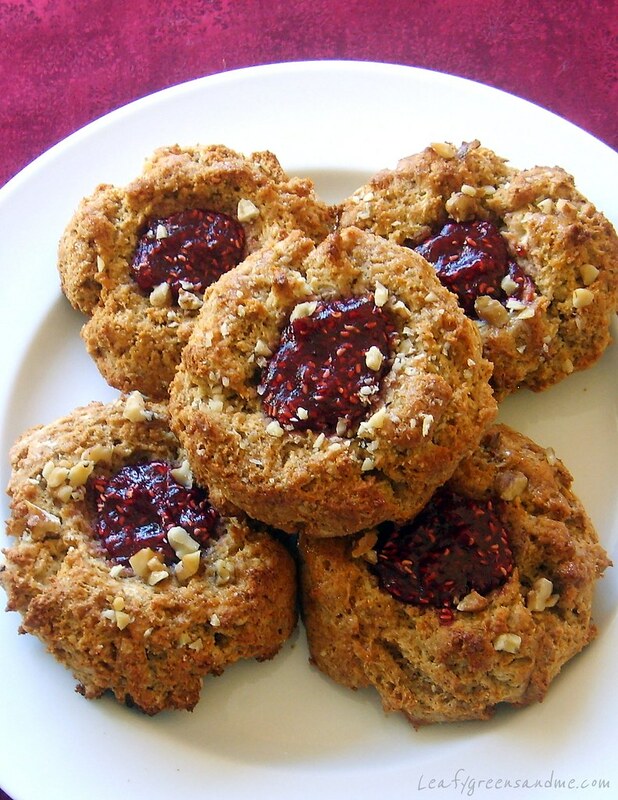 Well, these Raspberry-Toasted Walnut Scones could of turned out really bad, but actually they were quite good. I forgot to add the walnuts to the recipe...duh! I realized it after the scones were formed and ready to go into the oven and so I just sprinkled walnuts on top. So I'm not certain how the walnuts would of affected the taste or texture. Regardless of the walnut omission, the recipe still needs to be tweaked. The scones need to be sweeter and I'm still not sold on Bob's Red Mill Gluten-Free A/P flour. I can taste a slight hint of garbanzo beans even though I used a combination of different flours (Bob's a/p, g-f oat flour and brown rice flour). Oh well, back to the kitchen for Rev 2.0! 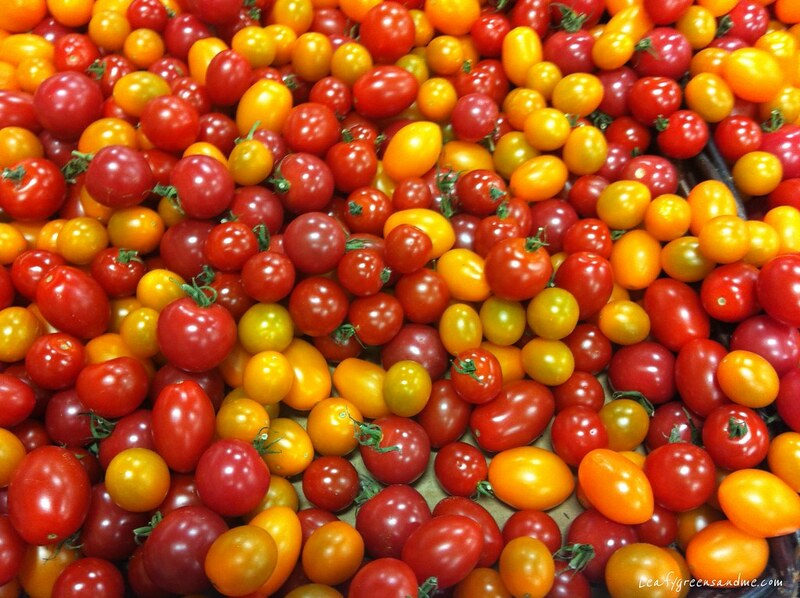 I love tomatoes in August, especially organic heirloom tomatoes in any shape, size or color. From now until the end of September, I will eat heirloom's practically everyday. I tried growing my own for three seasons in large pots on my patio, but I was unsuccessful and so I gave up. I'm not certain if it was due to the weather, the soil, or the fact that they weren't planted in the ground, but my yield was not bountiful and the plants had numerous diseases. Oh well, at $3.99 per pound for organic, I'll let someone else who has more experience do the growing for me because these tomatoes were delicious! 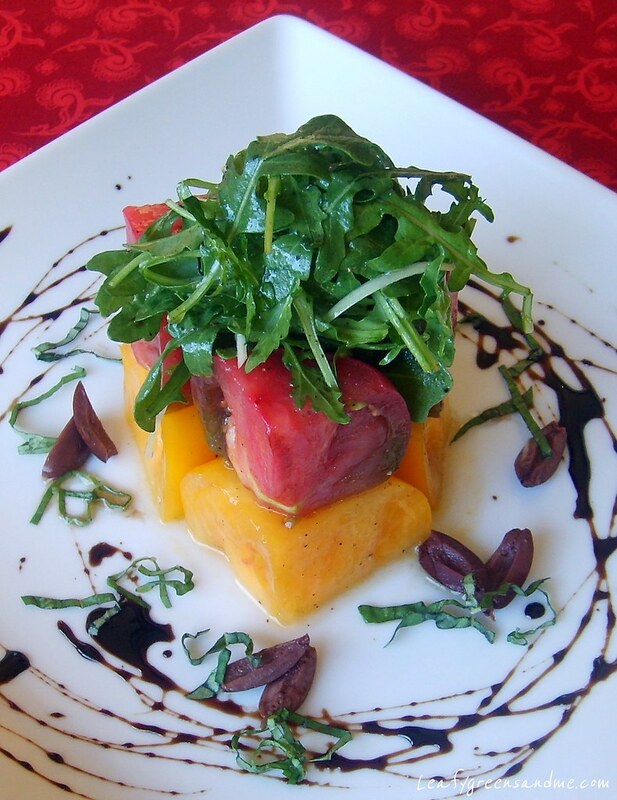 This is a beautiful salad and the flavors are really wonderful too. We used to serve a similar salad like this when I worked at the restaurant and I remember that it was our best selling salad during the summer. Of course, if you had 15 orders for it on a Friday night dinner rush, it wasn't that popular for the line cooks because the plating required you to take your time. In a small sauce pan over medium heat, cook balsamic vinegar and agave for about 15 minutes until it coats the back of a spoon. You want it to be the consistency of molasses so be careful not to overcook it because as it cools, it will thicken and you want it to be pourable. 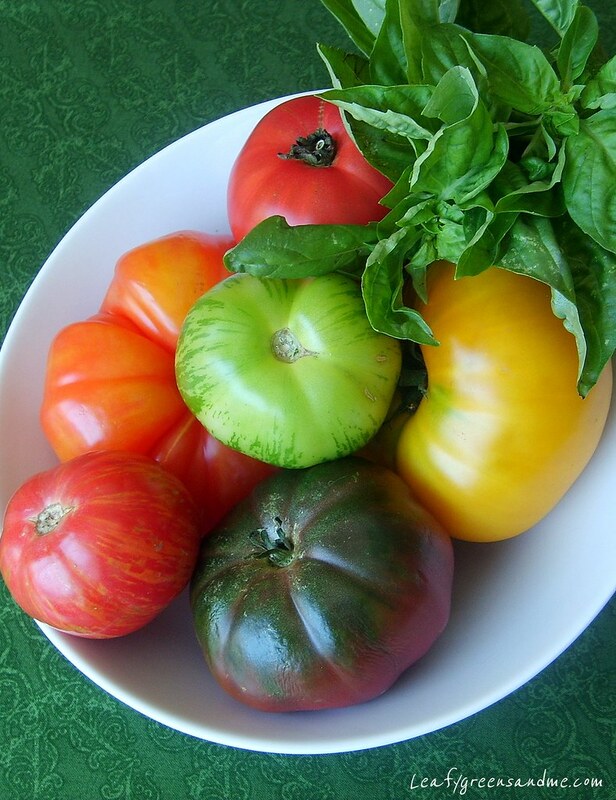 1-2 pounds organic heirloom tomatoes, assorted colors (about 1-1 1/2 tomatoes per person depending on size). Slice a small layer off the top and bottom of each tomato so that they can stand/stack up. Then quarter or half the tomatoes depending on size. Toss tomatoes with a little lemon juice, olive oil and salt and pepper and arrange on plate. 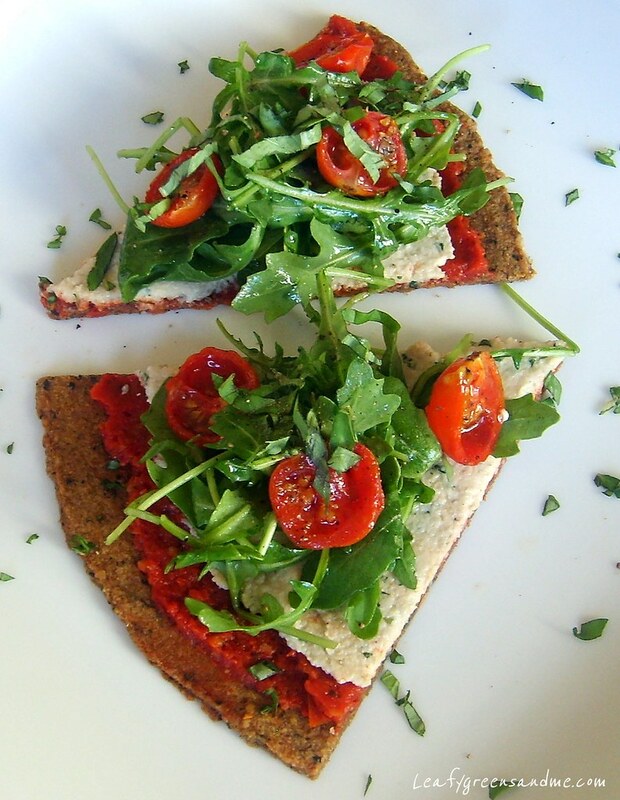 Toss arugula and fennel with a little lemon juice, olive oil and salt and pepper and place on top of tomatoes. Drizzle plate with balsamic glaze and garnish with Kalamata olives and basil. This is my first experience sprouting lentils and eating them raw. It requires advance planning, at least 2-3 days, but I was able to make a couple of raw dishes with one cup of dried lentils. I used French green lentils because I like their shape and color, but brown lentils will also work well. This salad has amazing texture and you really feel like you're eating something healthy. I served it with a simple tahini dressing made with lemon, garlic, mint, water and olive oil. This salad would also be nice served with raw dill flaxseed crackers, but since I don't have a dehydrator, I decided not to make them...perhaps next time. Pick through 1 cup of French green lentils to make sure they are free of stones and debris, rinse and soak them in a 2 quart jar for 8-12 hours. Rinse lentils in a strainer and tap to remove excess water. Place lentils back in the 2 quart jar and position the jar at a 45 degree angle propped up in a bowl so that any remaining water will drain away from the lentils. Rinse and drain lentils three times a day (morning, late afternoon, late evening), and place back in the jar. Repeat this process for up to two days until lentils have sprouted. Rinse and drain lentils again and then place in a sealed container in the refrigerator. 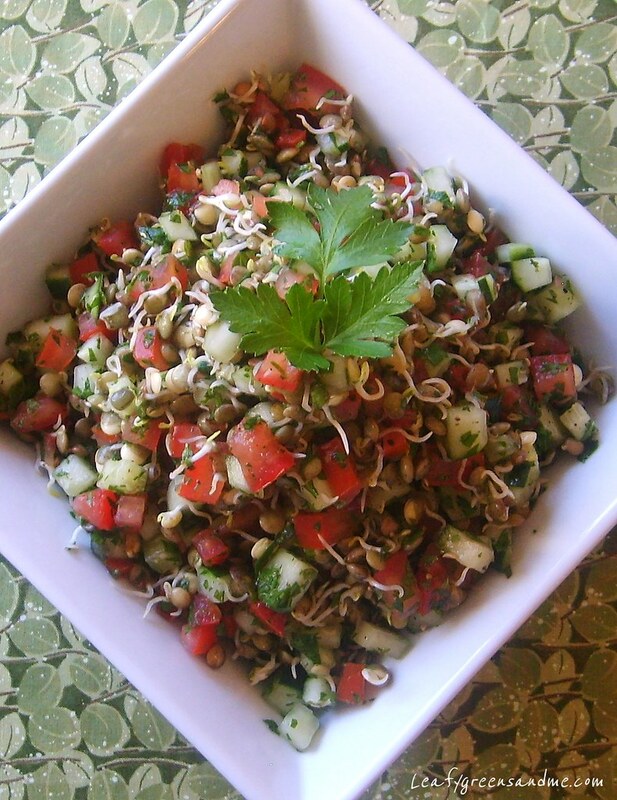 Use lentils within three days of sprouting for maximum freshness. In a large bowl mix all ingredients together and season with salt and pepper to taste. Chill in the refrigerator for at least one hour for flavors to combine. Serve with tahini dressing, or dressing of choice. When I was at the market today practically every bin was piled high with stone fruits. They all looked so good that I knew I wanted to make a dessert but I couldn't decide on the fruit. Did I want to purchase peaches, nectarines, plums or apricots? 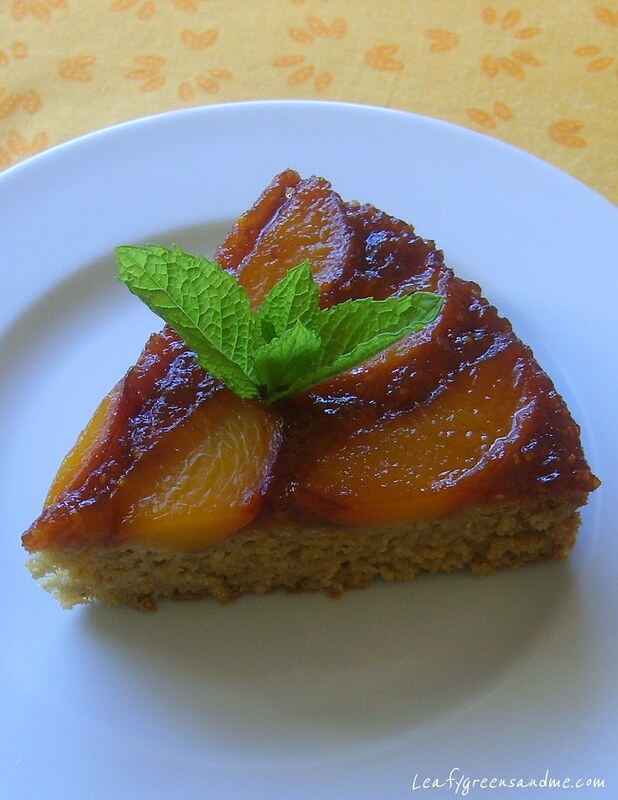 It was a tough decision, but as you can see the peaches won out and my "gluten-free" Caramelized Peach Upside Down Cake was absolutely delicious. A perfect dessert for a summer's evening! For the cake base, I modified a recipe in Babycake's cookbook for corn bread. Some changes that I made were...instead of using rice milk, coconut oil and applesauce, I used almond milk, canola oil and I made my own peach puree. The cake came out incredibly moist and fluffy, but it also had a nice texture from the cornmeal. Lightly spray a 9x3" cake pan with canola and line with parchment paper, set aside. Slice peaches and set aside. In a small sauce pan over medium heat, cook agave until it caramelizes about 4 minutes. Be careful not to burn--you want it to be a deep amber color. Immediately pour hot bubbling syrup on top of parchment-lined cake pan and smooth with an off-set spatula. The syrup will start to harden as it cools so work quickly to make sure that the entire surface is covered. Lay sliced peaches in a pattern on top of syrup and set aside. In a small bowl, mix together almond milk and apple cider vinegar and set aside for about 10-15 minutes. In a medium size bowl, whisk together a/p flour, cornmeal, corn flour, baking powder, baking soda, xanthan gum and kosher salt and set aside. Add canola oil, agave syrup, peach puree and vanilla extract to the almond milk and whisk to combine. Pour liquid ingredients into dry ingredients and mix until combined. Pour batter on top of peaches and smooth with an off-set spatula. Place on a baking sheet in the middle of the oven and bake for about 28-32 minutes (turning pan 180 degrees after 20 minutes). When done, cake will pull away from the sides of the pan and a toothpick inserted in the center of the cake will come out clean. Remove cake from the oven and let rest for five minutes. Run a knife along the edge of the pan to loosen cake and place another baking sheet on top of cake pan and flip over onto baking sheet and tap once with your fist. 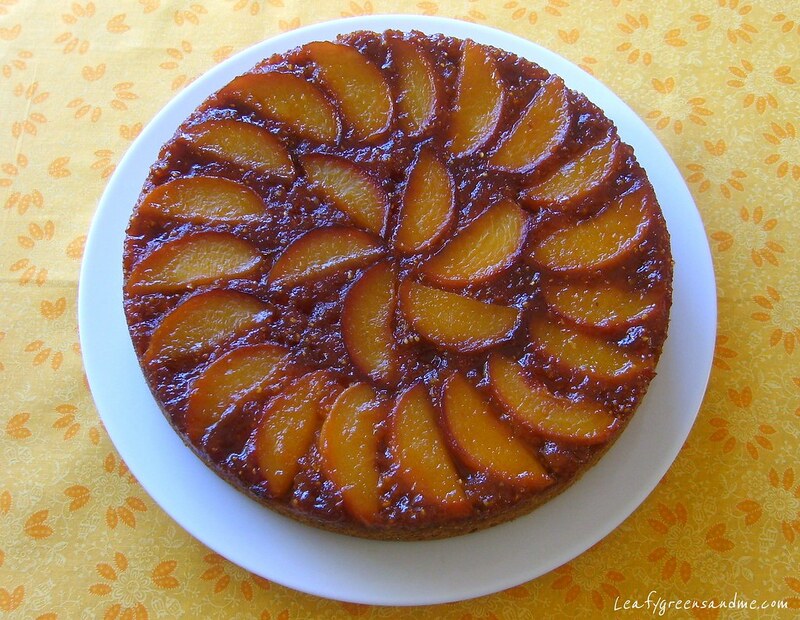 Remove cake pan and let cake cool completely before cutting. Simple, fresh and delicious...this soup is all about summer! I used a combination of organic white and yellow corn kernels, but this soup would have a deeper color if you used all yellow kernels. I served this with an Heirloom Tomato & Arugula Salad with Lemon Vinaigrette--I'll post the recipe for that dish tomorrow. You can't get any healthier or delicious than this--using produce that is in season at the height of freshness and flavor! Drain water and place cashews in a blender and cover with 1 cup of filtered water. Blend on high speed for about 3-4 minutes until creamy. In a food processor, blend corn kernels until you have a puree. Remove 1/4 cup of puree and set aside. Scrape out remaining puree into a blender. Add cashew cream, water and spices and blend until smooth, adjusting salt and seasonings if necessary. Strain soup through a strainer into a bowl and chill for at least two hours before using. Taste soup before serving and adjust seasoning. Chilling food masks flavors so it's important to taste again. Note: Chives and corn are such a great combination, but this optional. 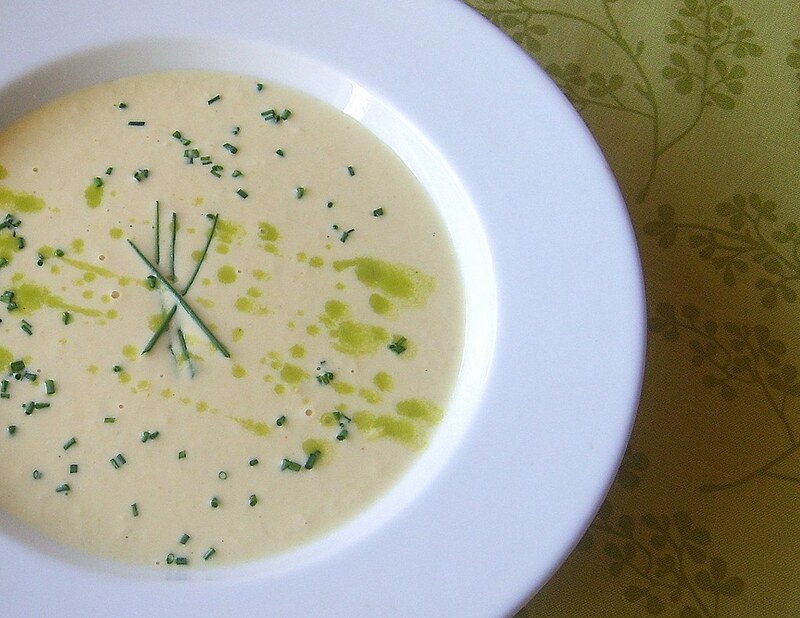 If you don't want to make the emulsion then just garnish the soup with chopped chives and chive sprigs. Chop chives into small pieces and place in a blender. Add lemon juice and enough water to get the blender moving and blend until smooth. Add minced garlic and with the blender running, slowly drizzle in olive oil until emulsified. Season with salt and pepper. Store in a squeeze bottle in the refrigerator.